Jockey Chris Symons has been sidelined after being bitten by a crocodile on his Victorian property. 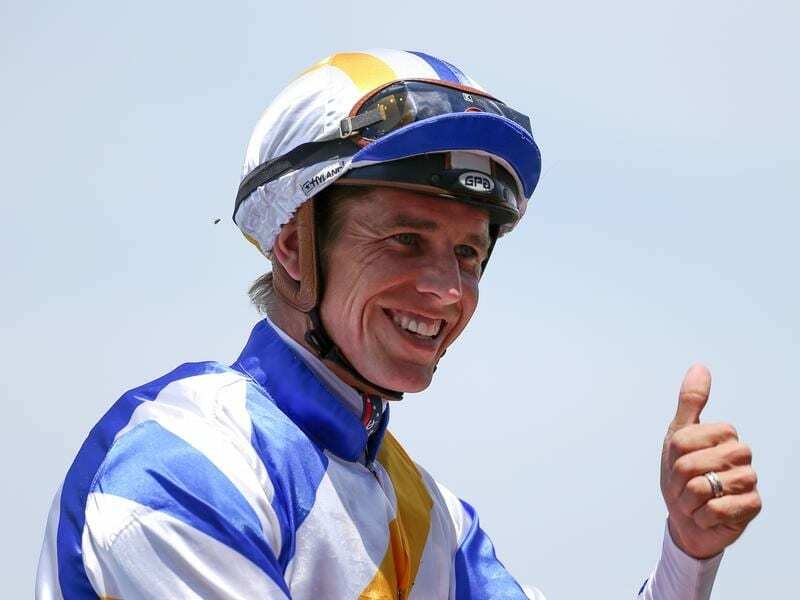 Popular jockey Chris Symons will be out of the saddle for at least the next week after suffering an unusual injury – being bitten by a crocodile. Symons has a property on the Mornington Peninsula called ‘The Funky Farm’ which houses various animals including ‘Crikey’ the salt water crocodile. The jockey was bitten on the wrist when he tried to move the 1.4m crocodile on Sunday. Symons said on Twitter on Monday it was his own fault and he would be out of the saddle for “a week or so” because of the incident which required surgery. “I was told they bite however now I know how hard!” Symons said. “Due to bacteria they carry I had minor surgery last night. “They are amazing animals that should always be treated with the upmost respect, human error on my behalf was the cause. The Funky Farm is a project Symons, his wife Sam and daughter Ziva have been working on for around three years with the aim to encourage people to interact and appreciate wildlife, particularly native species.